BIOLI experience starts with a pick-up at the airport and transporting to the resort. 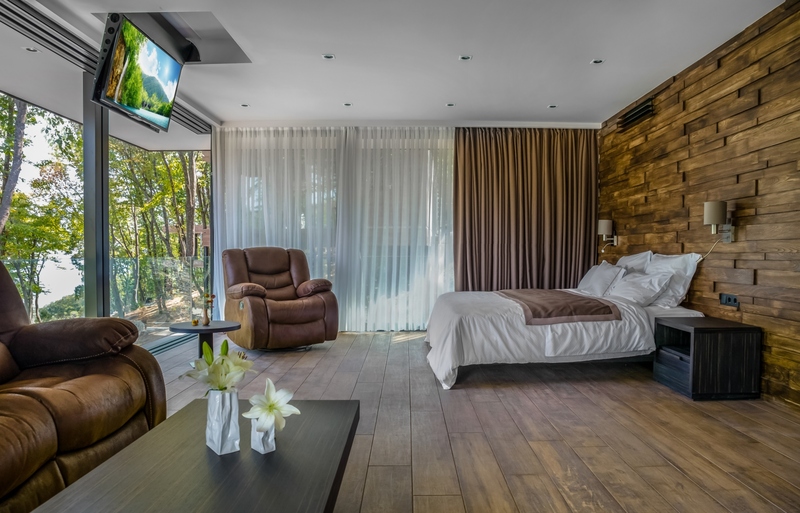 There are three comfortable rooms available for our guests at the complex, as well as eleven double and two family-type cottages, built with ultramodern smart technology and environmentally clean materials. 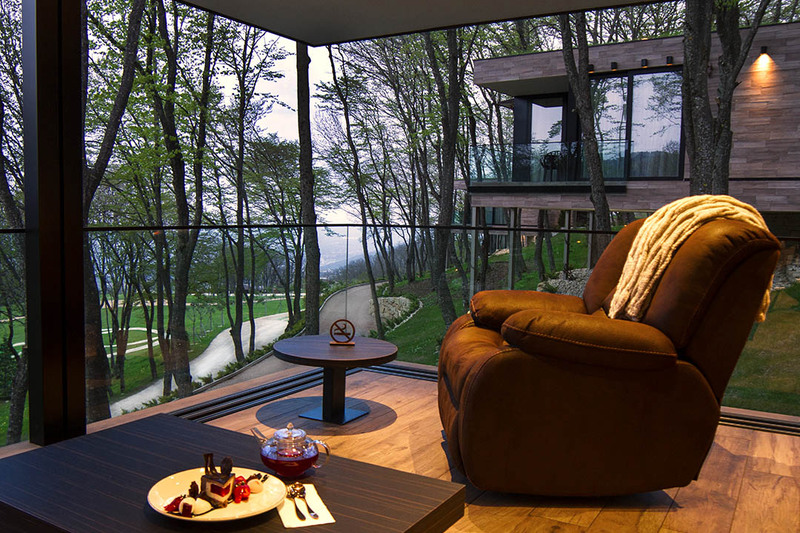 Beautiful views of Tbilisi and its nearby landscapes can be seen from balconies of cottages and complex rooms. All processes at the cottages can be managed with a remote control. All rooms are equipped with electric heating system. 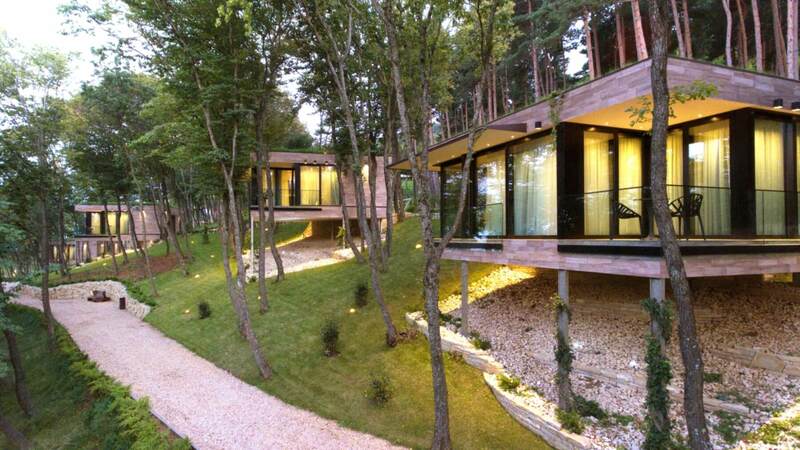 Glass walls open up from three sides, further enhancing the pleasure of spending time in a gorgeous forest. The rooms are equipped with eco-friendly furniture and appropriate accessories. The guests can choose the pillows, covers and mattress types according to their preferences. The guests can also select the room aroma (orange, eucalyptus, lavender, iris, ylang-ylang, pine, or fir), bedsheets (cotton or linen), bed cover and pillows (sintepon, feather or medicinal plants). The guests can use services such as dry cleaning (we use ecologically conscientious products only) and ironing. Our service also includes special mobile application, an individual wellness therapist and fitness instructor.